A Manhattan Before School Nanny from ABC Nanny Source will surely keep even the most hectic households in order! Marcia is delighted to be a Manhattan Before School Nanny and to have the privilege of supporting a families childcare needs! "I am an energetic and pleasant mother of two, who loves working with children. I have always enjoyed working as a nanny. Watching children explore, grow, and have fun is a joy to me. If I was asked to describe in one sentence the reason I have chosen to be in the Nanny profession over any other it would have to be because I am a caring and loving individual who wants to make a positive impact on every child I come in contact with. To be a great Nanny, I believe on has to love and adore children. I have been serving in some form of childcare experience for over 10 years and can honestly say I enjoy what I do! I feel children are a blessing who need great influences, who will love and care for them. 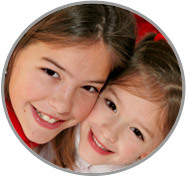 My goal as a Manhattan Before School Nanny is to provide a safe and clean environment where children can enjoy growing. I am willing to do housekeeping that includes dusting, grocery shopping, light cleaning, cooking, and laundry. If I had to describe myself in five adjectives I would say that I am honest, understanding, hardworking, trustworthy, and pleasant. Activities that I would like to incorporate in the daily plan for the family I care for would include game time and outdoor activities. If asked to describe the perfect family seeking a Nanny like me I would hope they would be kind and accept me as part of their family so we can play games and do activities together!" "Marcia has great energy and enthusiasm! No child will be bored with her! She is always coming up with fun and exciting games and activities to keep my son engaged. Marcia is calm and patient, which is exactly what I wanted in a caregiver for my son. She is organized and creative. She reorganized my son’s playroom, and now it’s actually much more organized and easy to find things! She even went so far as to paint my son’s room for me! She will make a great asset to any family looking for a Manhattan Before School Nanny!" Marcia was wonderful! She went above and beyond expectations to ensure that our two boys were well cared for. She was punctual and arrived each day with excitement to spend the day with my children. She always took the initiative to lend a hand, whether it be scheduling play dates, or helping to clean our home – she was always willing to go that extra mile. I felt at ease knowing my children were in wonderful hands with her. She hops right into playing with the children whether it is role-playing or games or crafts, she is very hands-on. In addition to creating a lot of fun, Marcia also adds an educational element! She taught my son Spanish and worked with my baby to ensure that he was reaching all of his milestones. You would be truly lucky to have Marcia in your home and be a part of your family! She truly has a gift with children and would make a fantastic addition to any family as a Manhattan Before School Nanny!" "Marcia is a trustworthy, kind, and attentive caregiver. She was always punctual and hardworking, my children simply loved her! You can trust that Marcia will always be honest, loyal, and will keep open communication with you regarding your children. On many occasions, she would even stay later than required just to help out a little more! Without a doubt, Marcia will make a great and exemplary Manhattan Before School Nanny. I’m sure that Marcia will bring the same wonderful qualities to your home as she has brought to mine!" "I believe that Marcia has the qualities necessary to work with children as a Manhattan Before School Nanny! She is dedicated, compassionate, and loyal to her work caring for children. From personally knowing Marcia, I can tell you that she has a friendly personality and gets along well with other people! She is also a very determined person. When she sets a goal for herself, she stays focused on achieving that goal! Marcia is compassionate with children, and has a special way with them that you see in very few people. She has firsthand experience in raising her son and knows what it takes to take care of children and the love they need to be shown. Therefore, I believe that Marcia will be a great asset to your family!"